Announced this evening at a special event during San Diego Comic-Con, Sonic Mania back goes back to Sonic the Hedgehog’s roots again, only this time Sega’s got some top-tier retro talent coming with. While modern Sonic the Hedgehog games from traditional developer Sonic Team have been a mixed bag, fans have been making excellent 2D Sonic and Sonic-alike games for years. So Sega’s tapped them to make Sonic Mania, a reimagining of the original trilogy, featuring a mix of new levels and rebuilt classics. 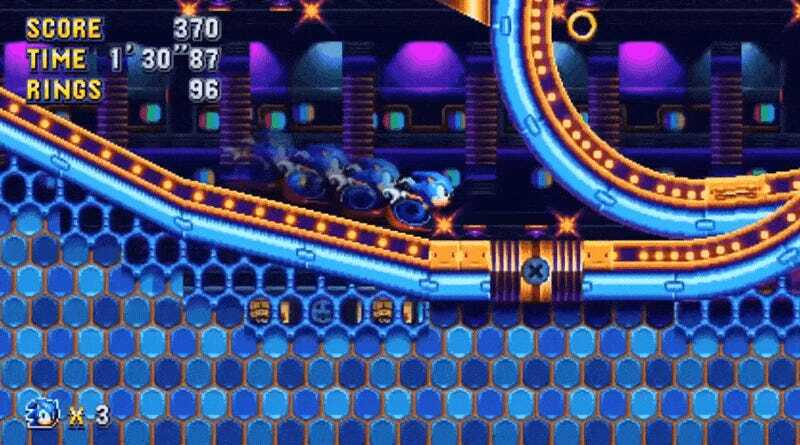 Helping Sega build this thing is Sonic fan-game creator supreme Christian Whitehead, retro specialist Headcannon Games and Pagodawest Games, the studio behind the heavily Sonic-inspired Major Magnet. So it’s not breaking new ground, but rather breaking old ground in a new way. Sega’s tapped some modern retro masters for this one, so hopefully we’ll get something special next year, when Sonic Mania arrives for PlayStation 4, Xbox One and PC.